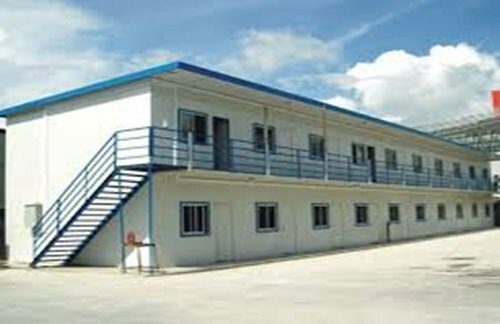 SAMAN POS India Pvt Ltd is a leading supplier of movable homes and other pre-engineered structures for residential, commercial and industrial sectors. Started as a small business in 2017, we have manifested our presence through our impeccable service, extensive features, and sophisticated technology. We help our clients in transitioning from a traditional home to a contemporary mobile home with great efficiency. 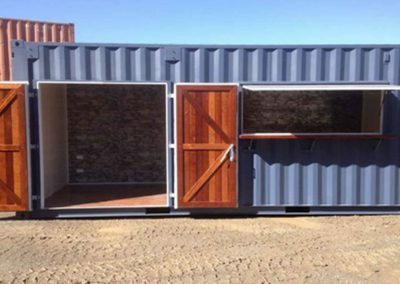 Our mobile houses come with endless choices of sizes, layouts, designs and other options. We are one call away to deliver you your dream home within a faster turnaround time, without any compromise in quality. We deliver high-end modular homes for both temporary park and permanent residency, customized as per our clients’ requirement. Debunking the myth associated with pre-engineered structures, we at SAMAN POS India Pvt Ltd has earned the reputation of innumerable clients since our inception. Utilizing our skilled engineering and ultramodern technology, we have dedicated ourselves to building a robust structure that can withstand the erratic weather and any uncertain natural calamities. 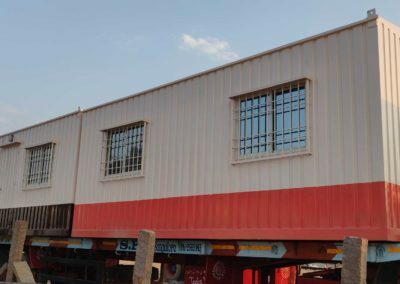 All our procured products go through a stringent quality test, while our procurement officer ensures that each product underwent the compliance of international code of Safety. As a result, the end-product we deliver you possess the ability to safeguard you and your family from uncertainty. The matter of Internal safety also affects the decision-making of customers while investing in a pre–engineered home. Personal safety plays a significant role, much bigger than money and time. As a reason, most people blindly go for traditional structures, thinking them as a safer option. What customer don’t know is that the journey of pre-engineered structures has gone through exponential quality and safety upgrades. 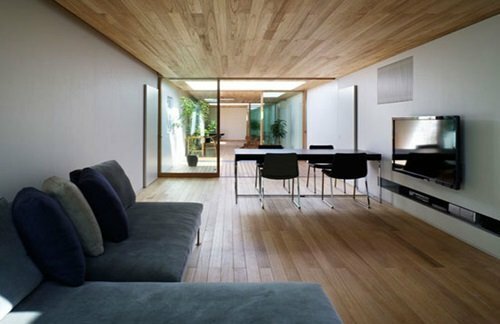 A portable home today withholds the same safety features as a traditional home. Surprisingly, a manufacturer of prefab homes has to follow stricter legal safety code compares to traditional house’s builders. SAMAN POS India Pvt Ltd follows the International quality and safety standards in terms of electrical systems, plumbing, construction, transportation, energy efficiency, structural design, fire safety, heating, and air-conditioning systems. Besides safety, affordability is the prime factor that drives the sale of a mobile home. Our technology focuses on expanding the comfortability of our customers while keeping their expenses in check. Compared to traditional structures, our pre-engineered homes offer more budgetary relief in terms of rupees per square foot. We can easily perform a price comparison between a traditional structure and our products and see the significant price difference. Your investment for a full-fledged mobile resident would be tremendously lower than the annual mortgage price you are expected to pay for a traditional home. It may even cost you less than rental rates as well. With such affordability, a mobile home offers you an opportunity to acquire your dream abode without bleeding your hard-earned savings. Researchers suggest that living a simple life promotes physical growth and boosts mental health. 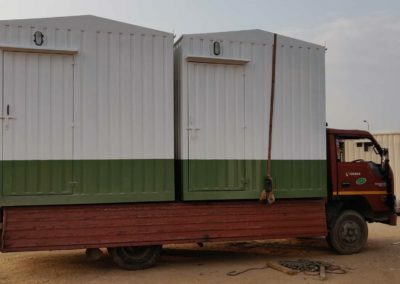 The mobile homes at SAMAN POS India Pvt Ltd offer our customers a chance to prefer environment over material consumption, which helps them to live a simpler yet happy life. Furthermore, our sustainable raw materials help us adopt an eco-friendly approach while keeping our cost of production lower, which enables us to provide a durable end-product at a competitive marketing price. Even if you exclude the tremendous time consumption for building and land permits, you still can’t compare the installation efficiency which our pre-engineered homes bring. We provide customized and easy-to-carry prefab structures within a very short turnaround time. Our installation time falls between an average of 2 to 6 days, which is significantly lower than any traditional structure. Furthermore, the cost involves in building a traditional structure includes the price you pay for raw materials, land price, land permits and workforce, which will make your building cost raise through the roof. A prefab homes keeps your environmental and noise pollution at bay with its easy to install features. 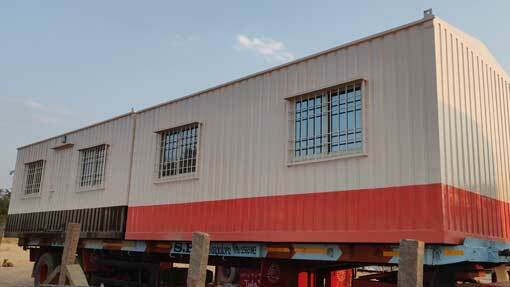 We deliver foldable parts of your dream home and it won’t take weeks or an array of labors to complete the task. All our mobile homes come pre-engineered form, which means, you just have to fix them in the right place. Why wait for months, when you can have your pre-manufactured structures with just one call. Feel free to call us now or fix a scheduled visit to our store. All you have to do is give us requirement details and we will present you a customized contemporary infrastructure at the best price you will ever find in the market. With an approach to cultivating an unbiased customer approach, we at SAMAN POS India Pvt Ltd follows the first-come-first-serve approach. Call us and book order, and we will be at your doorstep before the delivery date. 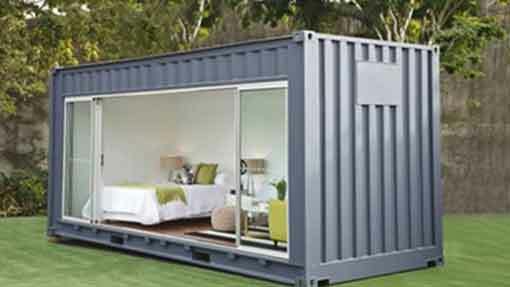 Are you looking for mobile home? Just now call us because we have always flexibility to meet customer’s requirement. We have the best solutions for your requirements. So, what are you waiting for? Just reach to us because we have limited offers now. Do you want secure site materials? Please get the quote for mobile home. Are you looking for mobile home? Please call us now because we have variety of mobile home to meet your requirements. Are you planning to organize an event? 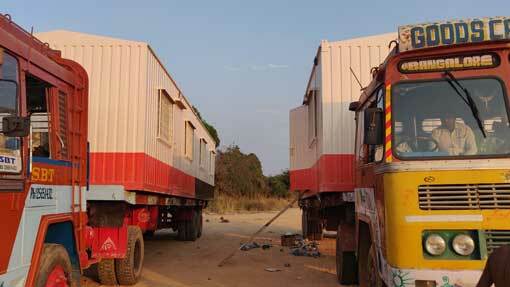 Do you need a mobile home for it.You can avail amazing offer of mobile home. 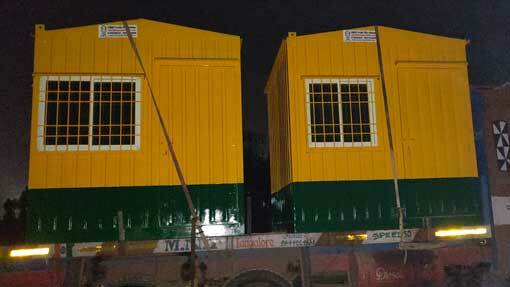 Just ring us and get the best quote now because we are leading manufacturer of mobile home.